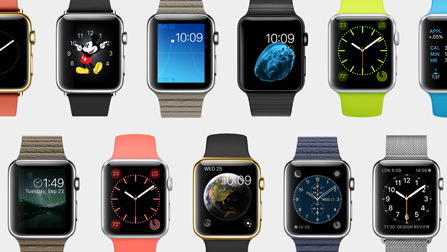 Apple conferences are known to be huge occasions, but this one feels like one of their biggest yet. 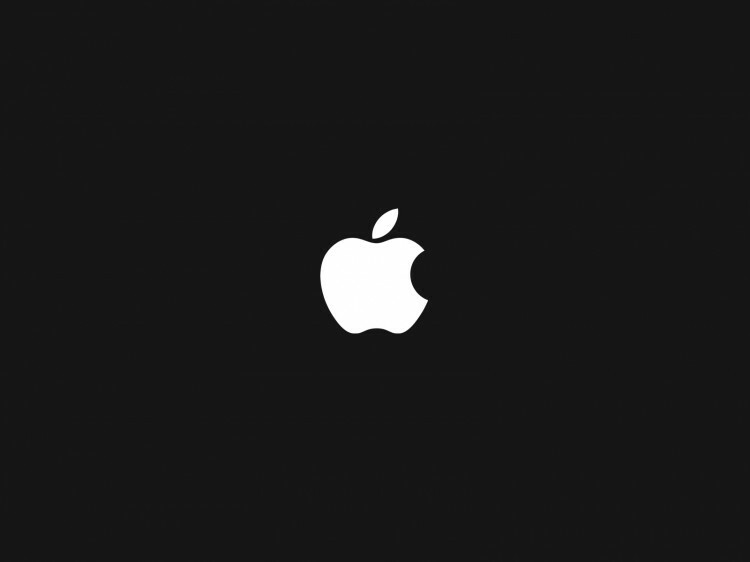 At 1pm EST, the company will be holding their latest event in Cupertino, which most expect to be the reveal of the iPhone 6, possibly a wearable product and more. 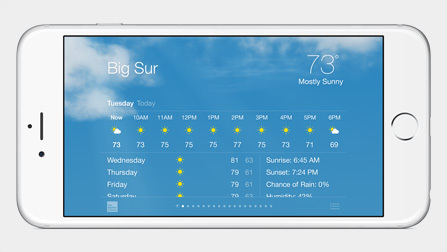 Follow along with us below, and stream on an Apple device. 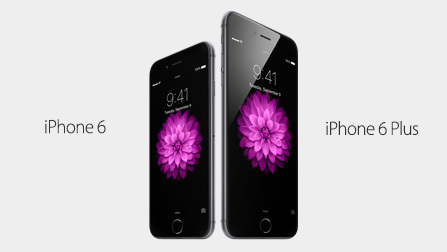 Meet the iPhone 6 and iPhone 6 Plus. 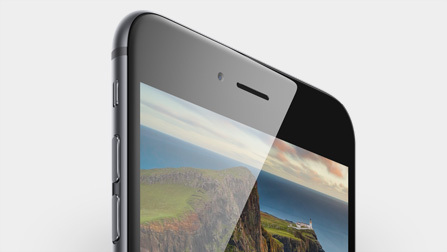 The phone has cover glass curves with no distinct edges. 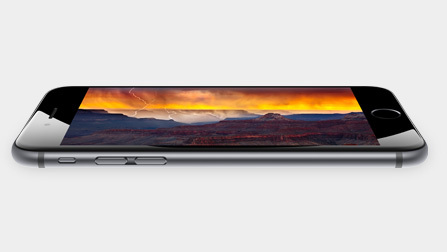 All-new retina display with the full sRGB wide color gamut, with dual-domain pixels on the photo-aligned IPS. 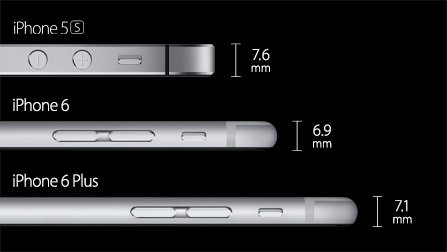 iPhone 6 has a 4.7-inch display and over one million pixels. 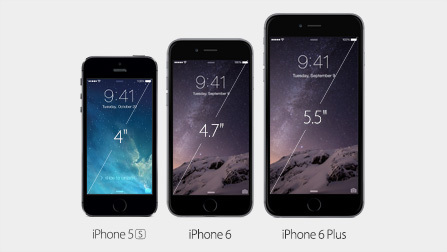 iPhone 6 Plus has a 5.5-inch display and over two million pixels. 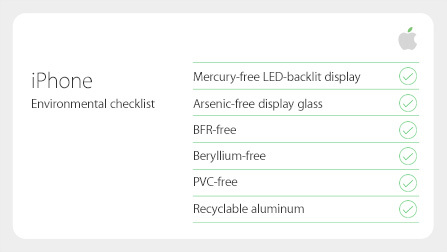 Resolution of 1334 by 750 with 326 pixels per inch. 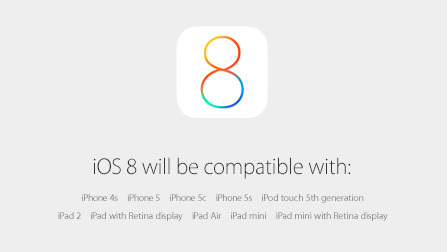 More than 720p Retina HD display. 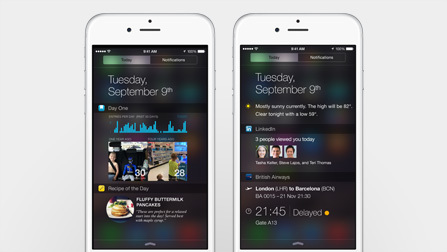 New landscape view for iPhone 6 Plus. 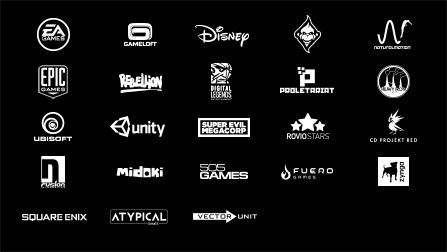 Over 1.3 million apps available. 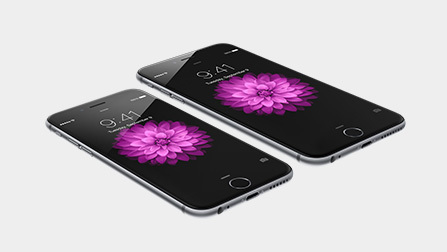 Powered by the Apple-designed A8 chip, with 25% faster processing power and up to 50% faster graphics. 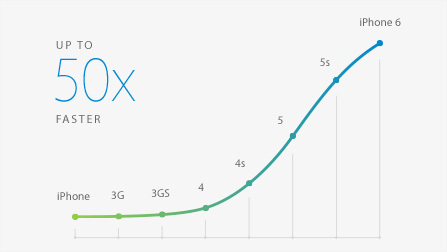 50x faster than original iPhone, while graphics are 84x faster. Gaming like you’ve never seen before, in higher resolution than next generation consoles. 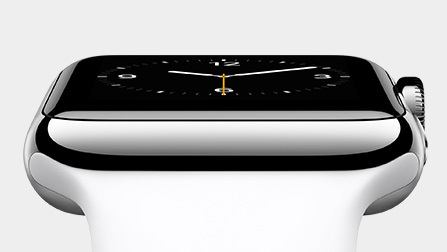 M8 coprocessor continuously measures motion data from the accelerometer, gyroscope, and compass. 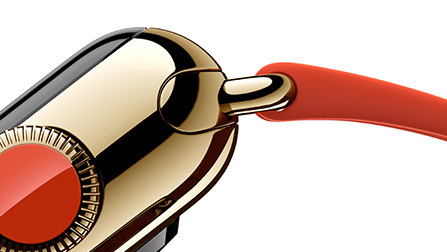 Barometer senses air pressure to measure relative elevation, perfect for fitness apps. 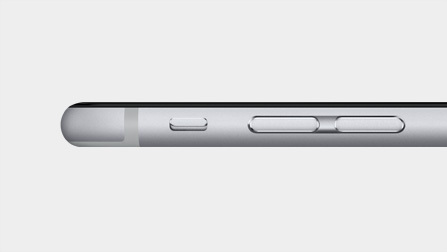 Faster LTE than iPhone 5s and more LTE bands than any smartphone for better roaming. Over 200 carriers. 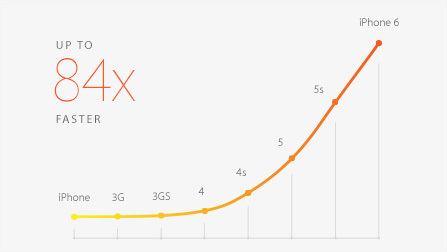 iPhone 6 Wi-Fi speeds are up to three times faster than iPhone 5s. 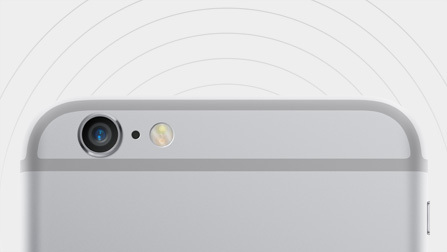 Wi-Fi calling is a new feature for making high-quality calls. 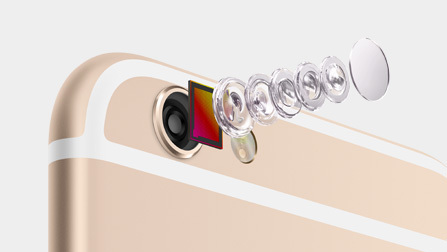 iPhone 6 has an 8MP iSight camera, 1.5µ pixels, ƒ/2.2 aperture and new sensor. 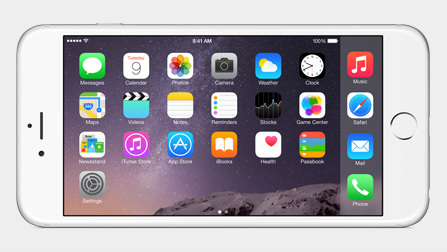 Focus Pixels to make the iPhone faster and better. Previously found only in professional DSLR cameras. Faster autofocus, next-gen local tone mapping and advanced noise reduction. Image signal processor with ISP to help low light and shaking. 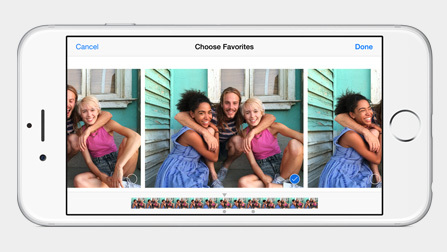 Burst mode detects faces from nearer and further, detecting smiles and blinks for the perfect capture. 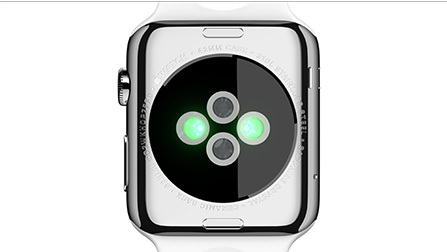 New Apple-designed video encoder with slo-mo video at 120 fps or 240 fps. 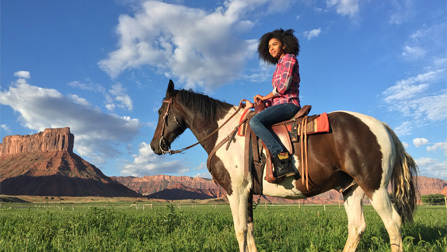 You can take a quick snap and it will record a long period of time. 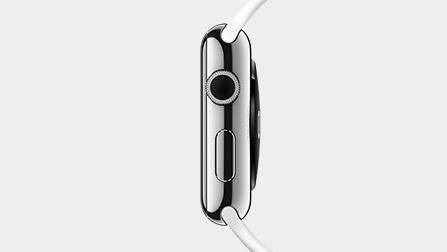 FaceTime HD camera has an all-new sensor and larger ƒ/2.2 aperture that lets in over 80% more light. 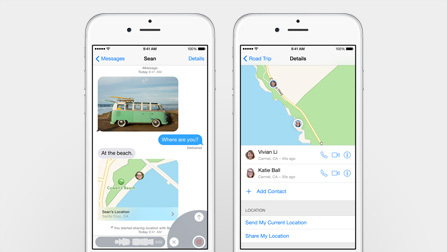 Add voice, video and location easily to messages, with predictive keyboard that learns your texting style. 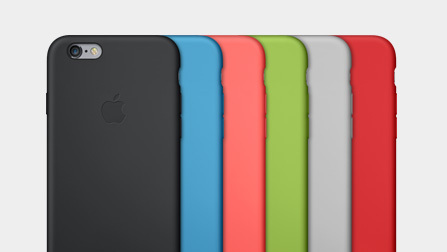 New silicone and leather cases from Apple. The moment we’ve been waiting for! 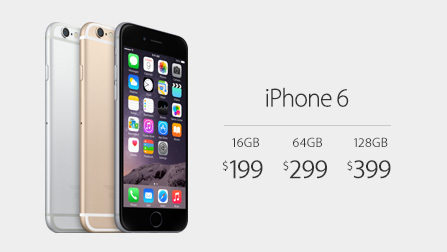 iPhone 6: 16GB will be $199, 64GB will be $299 and 128GB will be $399. 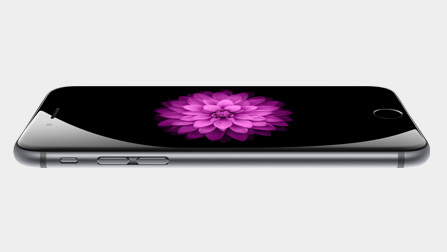 iPhone 6 Plus: 16GB will be $299, 64GB will be $399 and 128 will be $499. Both phones come in gold, silver and space grey. Out on September 19th with pre-order on September 12th. 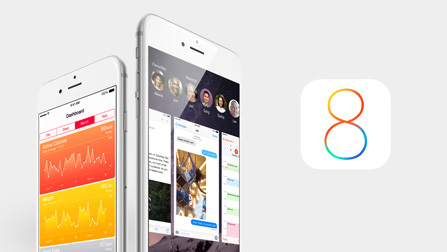 iOS8 is available on September 17th for free download. Of course Justin Timberlake and Jimmy Fallon starred in their latest ad. Groundbreaking NFC antenna. Touch ID security. Privacy of the Secure Element. Convenience of Passbook. 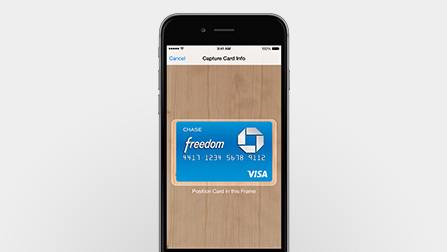 Simply add a card from your iTunes account with iSight camera. 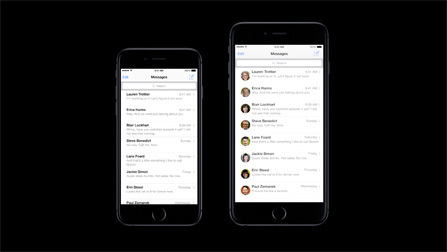 Number is never stored or shared on device or Apple servers. 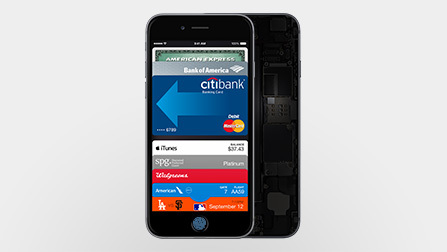 Generates a dynamic security code, replacing static security code from the back of card. Apparently more secure than keeping cards in a wallet. 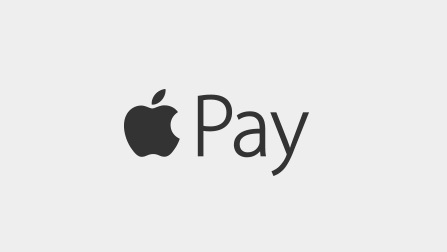 Cashiers don’t see your name, your card number, or your security code and Apple doesn’t know what you bought, where you bought it or how much you paid for it. 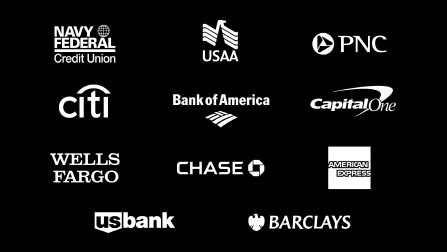 Will begin in the US, working with top three networks: American Express, MasterCard and Visa. 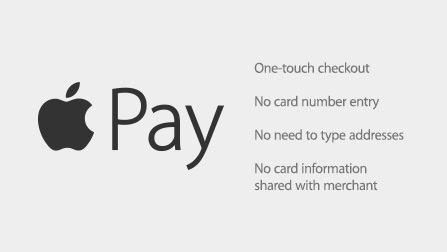 Apple pay will work with over 220,000 merchant locations, including Disney World for instance. Welcome to the Digital Crown. 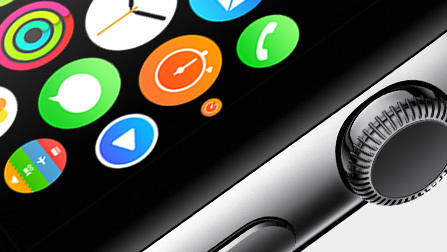 Scroll, zoom and navigate Apple Watch without covering the display. 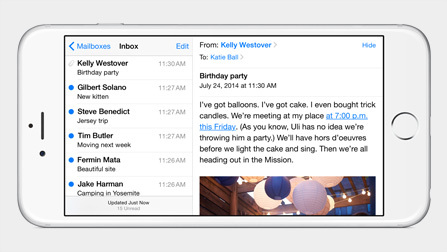 Scroll through lists and messages and make selections with a flexible Retina display. 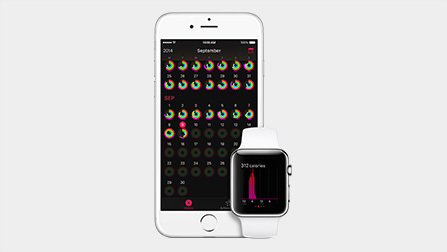 Infrared, visible-light LEDs and photosensors detect your pulse rate. 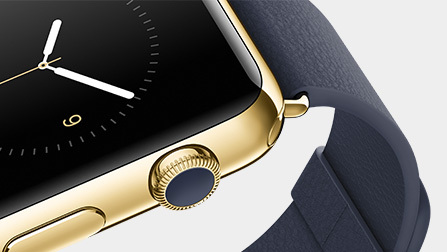 Custom alloys of stainless steel, aluminum and 18-karat gold. 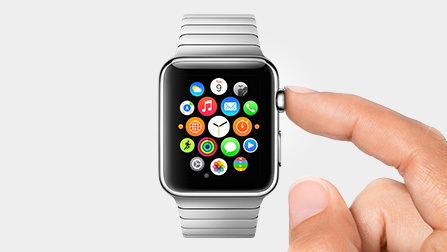 Digital crown takes you to apps. 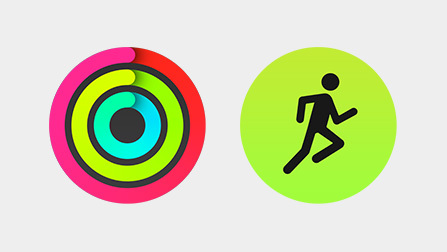 Change colors, design elements and add functionality. 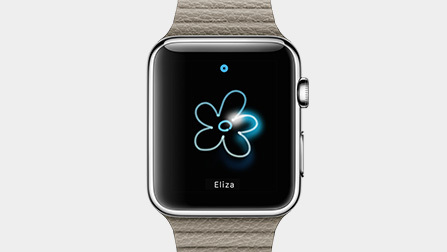 Send messages from your wrist, along with a friend in need with Siri. 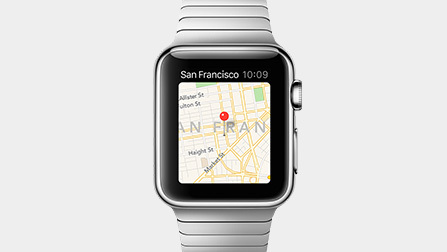 Zoom in with the Digital Crown, along with a locations app at your service. 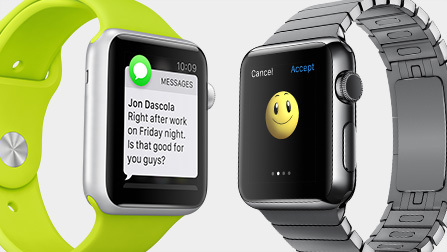 The side button takes you to Friends to call, send messages and connect with Digital Touch features. 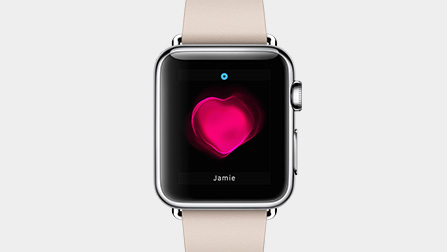 You can literally capture your heartbeat and send it. 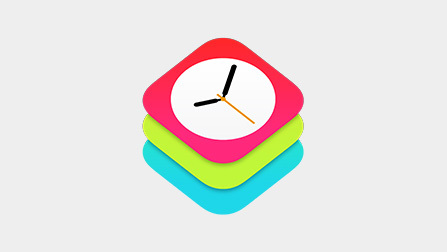 The WatchKit allows developers to create apps for the Apple Watch, taking advantage of larger battery and processing power your iPhone. 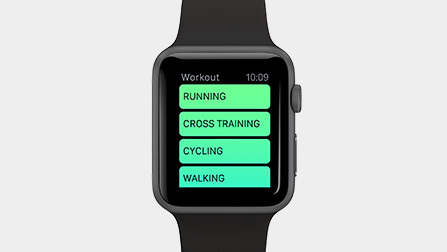 The world’s most respected health and fitness experts helped develop Apple Watch, providing picture of health and fitness. Tracks fitness all day with accelerator to measure body movement, along with measuring sensitivity through your heart rate. 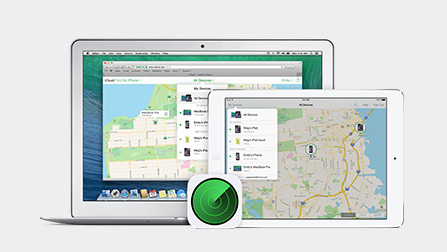 Uses GPS and Wi-Fi in your iPhone to help track distance. 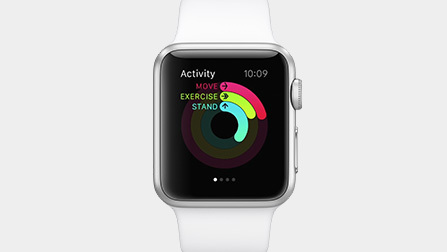 Move ring gives overview of how active you are, Exercise ring measures brisk activity and Stand ring shows how often you stand to take a break from sitting. 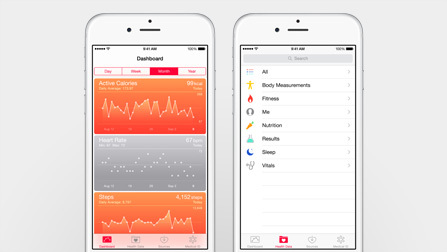 Workout app shows stats that includes calories, time, distance and workout paces. Link up with Fitness app on iPhone. 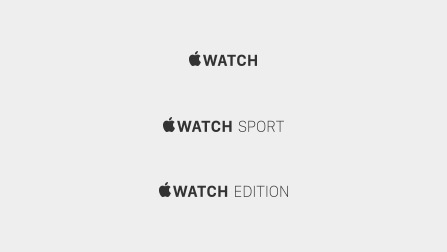 Three editions of Apple Watch, requiring iPhone 5, 5c, 5s, 6 or 6 Plus. 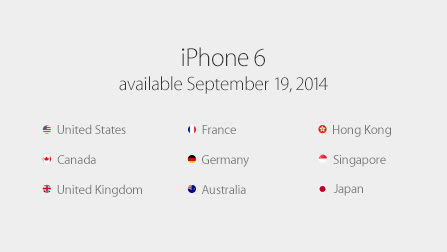 Available early 2015 for $349. 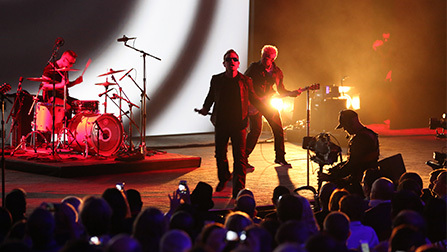 They had to get U2 on stage for opening of the iPhone 6. 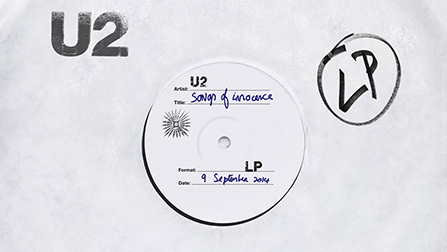 U2 just released their new album Songs of Innocence on iTunes, free of charge. It’s already in your iTunes and just needs a click to download. Anything can happen with Apple.